In the 1990s, the Chicago Bulls left a mark on the basketball world that will never be forgotten. 6 championships, multiple Hall of Famers and the greatest player of all-time within one decade made them one of the top 3 (Boston Celtics, Los Angeles Lakers and Chicago Bulls) NBA franchises in sports history. 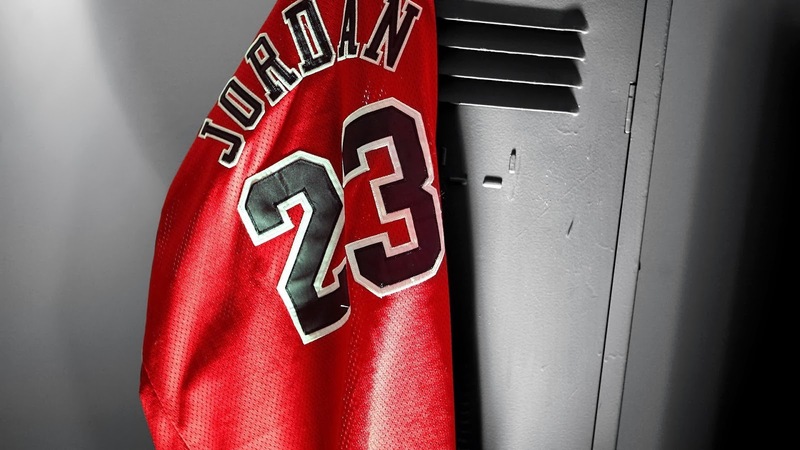 The Michael Jordan led Bulls are internationally known. Michael Jordan, Scottie Pippen, Dennis Rodman and company are responsible for the best season in NBA history, 1995-1996, the years they put together a 72-10 record and won their fourth NBA Championship. The 6 Championship era was amazing to say the least. Chi-town sport fans got to witness the greatest player of all-time accumulate two three-peats, win 10 scoring titles, and excel in non-shooting guard categories (Defense, Rebounds & Assists). The 1990 Bulls had the greatest decade in Chicago sports history and one of the most impressive in general. We might never see a team reach the level of success that the Chicago Bulls touched in the Jordan era. We could see something close to it. Even getting close to the 90s Bulls is a tough task. One thing we know for sure is this; teams are trying to do it. 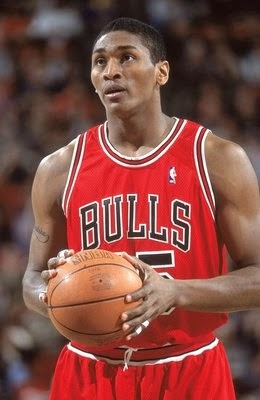 The Chicago Bulls wouldn't mind winning more trophies and having extraordinary talent dominate the court. Winning championships is something Chicago basketball fans want to see their team get a reputation for in the current era. Yes, the Bulls have had their share of winning in the Post-Jordan, but its light-years away from the Jordan run. Since the Eddy Curry and Tyson Chandler signed to Chicago, the state of Illinois has seen a good amount of quality professional basketball teams regardless of how pieces were moved around. A winning atmosphere was cultivated through smart front office moves of Jerry Reinsdorf (owner), Gar Forman (General Manager) and John Paxson (Former GM & Current VP of Basketball Operations). Since the 2004-2005 season, the Chicago Bulls have been to the playoffs 7 out of the last 8 seasons. Tru School Sports thought it would be cool to list ten of the best NBA All-stars who have suited up for the Chicago Bulls after the Michael Jordan era. Also, we included some noteworthy Chicago Bulls names in this post. Criteria to make top 10: The current or former Chicago Bulls must have played in at least one all-star game at some point in their career. They must have done something significant while wearing a Chicago Bulls uniform. The players in this top 10 list are not necessarily the best Bulls after the Jordan era but they are the best Post-Jordan players out of those who have been selected to an all-star game. Ben Gordon is definitely a top 10 Bull post-Jordan era but he was never selected to an all-star game so he makes a special category at the end of this post. 3-Time All-Star, 2011 MVP, 2010-2011 (62-20) & 2011-2012 (50-16) Chicago Bulls had the best record in the NBA, 2011 Eastern Conference Finals, Rookie Of The Year Award (2009), 36 points, 11 Assists and 4 rebounds in playoff debut vs. Boston Celtics (Tied Kareem Abdul-Jabbar for most points by a rookie in a playoff debut), and 1 of 6 players (Michael Jordan, Larry Bird, Lebron James, Magic Johnson and Dwayne Wade) to average 25ppg, 7.5 ast, and 4.0 rpg in a season. 21ppg, 7ast, 4rpg, and 1stl. Post-Season: 25ppg, 7ast, 6rpg and 1stl. Center for the 2010-2011 and 2011-2012 Chicago Bulls (teams that had the best regular season record in the NBA), has played his whole NBA career for the city of Chicago (6 years), 2013 NBA All-Star, NBA All-Defensive First Team (2013), and NBA All-Defensive Second Team (2012). Is consider by many to be the heart of the current Chicago Bulls squad (2013-2014). Small forward for the 2010-2011 and 2011-2012 Chicago Bulls (teams that had the best regular season record in the NBA), 2-Time NBA All-Star, NBA All-Defensive Second Team (2012), NBA All-Rookie First Team (2005), NBA Sportsmanship Award (2007), and Has played all of his NBA career in Chicago (9 years). 16.1 ppg, 6.4 Rpg, and .331 from the 3-point line. 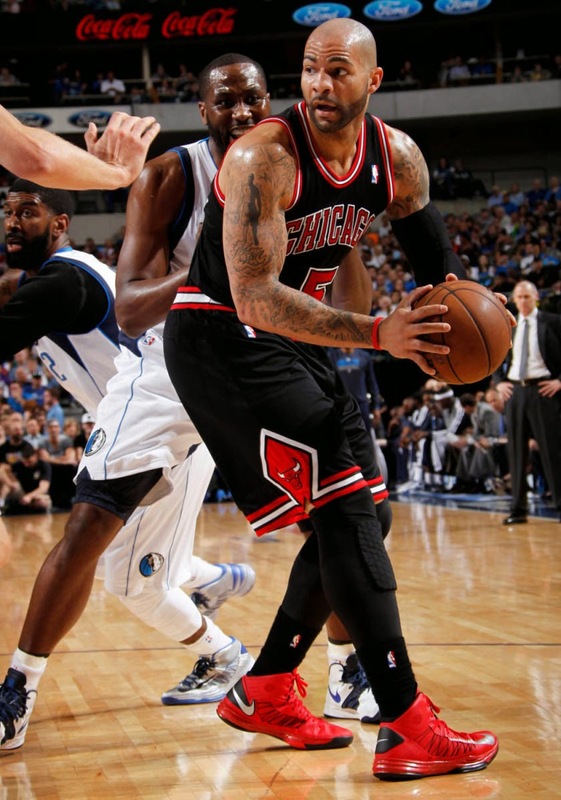 Tyson Chandler played for the Chicago Bulls for the first 5 years of his NBA career. He skipped college and went the pros straight out of high school. Tyson Chandler and Eddy Curry were supposed to be a dominating post game force at some point in the future. Tyson Chandler was a part of the team that brought playoff basketball to the Chicago Bulls for the first time since the Michael Jordan days (2004-2005). He was a member of the team that went to the playoffs in the 2005-2006 season, his windy city collective lost to the Miami Heat in 6, the Shaq & Wade team that went onto win the NBA championship. In 2006 he was traded for P.J. Brown and J.R. Smith after the Bulls signed all-star center Ben Wallace. 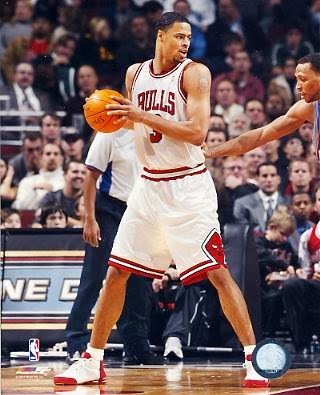 Chandler's best regular season as a Bull was in 2004-2005 when he averaged 8.0 ppg and 9.7 rpg. In the 2005 post season, he averaged 11.7ppg, 9.7rpg, and 2.2 blk. After the Chicago Bulls traded Tyson Chandler to the New Orleans Hornets in 2006, he went on to accomplish a lot of amazing things. The Hanford, California-born baller has been to an all-star game (2013), won Defensive Player Of The Year (2011-2012), won an NBA Championship (2011 Dallas Mavericks), lead the league in field goal percentage (.679) 2011-2012, and go onto hold the record for the highest field goal percentage in modern NBA history as of today (.5833) (2nd all-time behind Artis Gilmore's .5990) (12/25/13 11:08pm). Elton Brand was supposed to bring Championship contending basketball back to Chicago but things didn't work out like that. He still is one of the best all-stars to ever wear a Chi-town jersey. Number 1 pick in 1999 NBA draft, 2000 NBA co-rookie of the year (Steve Francis), and averaged 20ppg and 10 rpg in his two seasons with the Chicago Bulls. He was supposed to be the future of Chicago basketball. The Los Angeles Clippers got to enjoy his all-star years. Metta World Peace is one of the most controversial figures in NBA history. His involvement in the Pacers-Pistons brawl at the Palace as an Indiana representative and other incidents have made him a player most won't forget. The NBA champion and All-Star will also be remembered for his basketball talent; the talents that he used for two and a half years as a Chicago Bull. He is arguably the Dennis Rodman of the current era. 16th pick in in the 1999 NBA Draft, NBA All-Rookie Second Team in the 1999-2000 and he averaged 13ppg, 4.3rpg, and 2 stl. He was supposed to be a part of the Elton Brand post-Jordan rebuilding project. Instead he was traded (2002) with Brad Miller and Kevin Ollie in a deal that brought Jalen Rose, Norm Richardson, Travis Best and 2002 2nd round pick (Lonny Baxter) to the windy city. He went on to become a 2004 NBA All-Star, 2010 NBA Champion (Los Angeles Lakers), 2002-2003 NBA All-Defensive, 2003-2004 NBA All-Defensive, 2005-2006 NBA All-Defensive, 2008-2009 NBA All-Defensive, and 2003-2004 Defensive player of the year. Overall Career Stats: 14ppg 5rpg and 2stl. Power Forward for the 2010-2011 and 2011-2012 Chicago Bulls (teams that had the best regular season record in the NBA), played a much needed 79 games in the 2012-2013 season (Season Derrick Rose missed the whole season), and played every game in the 2011-2012 season (league leader). 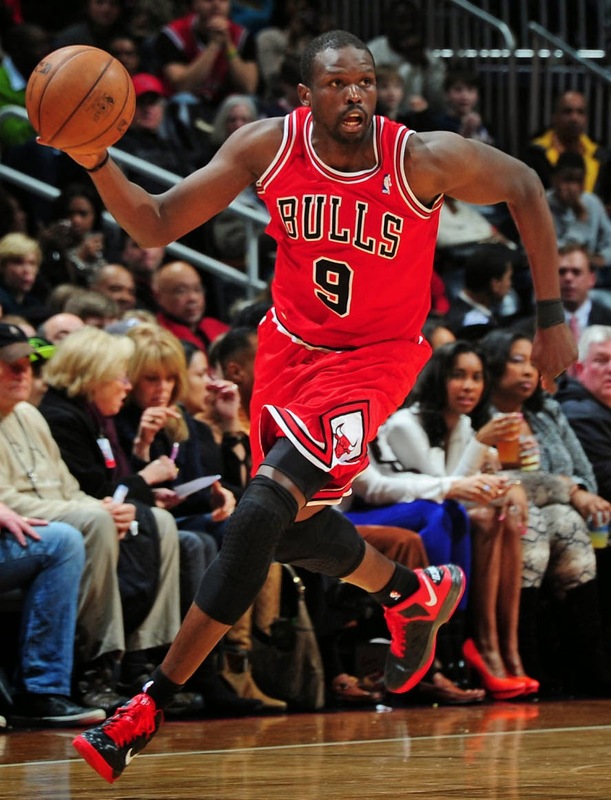 The two-time all-star is still having a solid run as a Chicago Bull. Many believe his days as a pro basketball player for Chicago will end soon. We shall see. 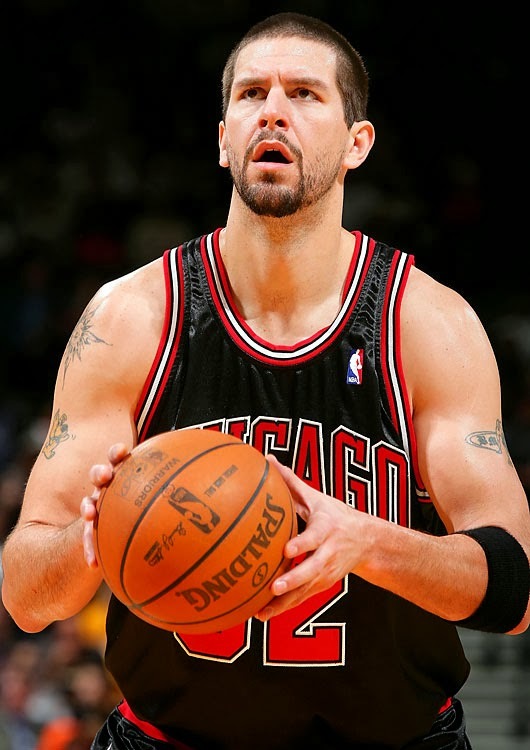 He was the starting center for the 2006-2007 Bulls team, a squad that defeated the defending Champion Miami Heat in the first round of the playoffs (The first time a defending Champion was beat in the first round). Sweeping the Shaq and Dwayne Wade Miami in the first round of the 2007 NBA playoffs was big. Ben Wallace, Ben Gordon, Kirk Hinrich, Luol Deng, and company were a serious team. Ben Wallace averaged 10.7rpg and 2.0blk as a Bull in the 2006-2007 season. His best NBA years were as a Detroit Piston, where he lead the league in rebounds twice (2001-2002 & 2002-2003), won Defensive Player Of The Year 4 times out 5 seasons, and won an NBA Championship in 2004. The Bulls were hoping to get some of that Championship magic via Ben Wallace in 2006-2007. Wallace and the 2006-2007 Bulls ended up losing to his former Piston team in the second round of the playoffs. Wallace's part of the 2006-2007 Bulls sweep of the Miami Heat was fun to watch. 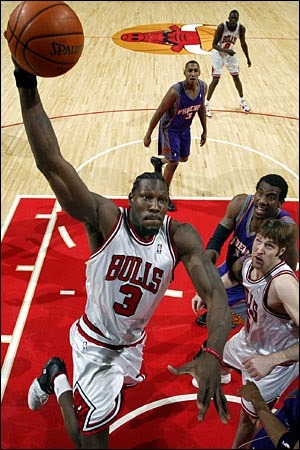 Chicago Bulls 2006-2007 Stats: 6.4ppg, 10.7rpg, and 2.0blk. 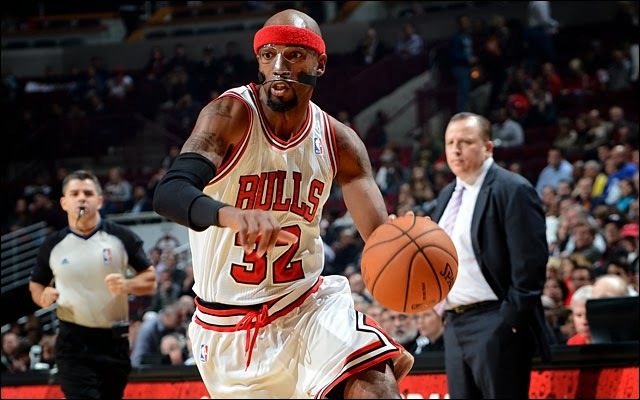 Richard Hamilton was a part of the 2011-2012 Chicago Bulls roster, the squad that was tied with the San Antonio Spurs for the best record in the NBA. He was supposed to compliment Rose with great shooting guard play, injuries made that something that never happened. Hamilton like Ben Wallace is known for his years as a Detroit Piston. While playing Detroit basketball he went to 3 all-star games, won a championship in 2004, and led the league in 3-Pt Field Goal Pct (.458) in 2005-2006, among other things. 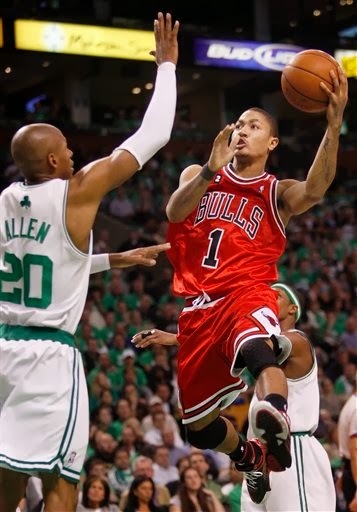 He put up solid numbers (10ppg, 8rpg, 1blk,.471 FG% and a .714 3P%) for the Chicago Bulls team that went 7 games vs. the Boston Celtics in the first round of the 2009 playoffs. His all-star years were as a Indiana Pacer and a Sacramento King. He is an all-star that recorded two nice seasons as a part of the Chicago Bulls. ANTONIO DAVIS: Bulls Career: 8pg & 7rpg (2003-2004 & 2004-2005) Bulls Playoff Career (9.5ppg & 7rpg and .435 FG%) Went to an all-star game as a Toronto Raptor (2000-2001). 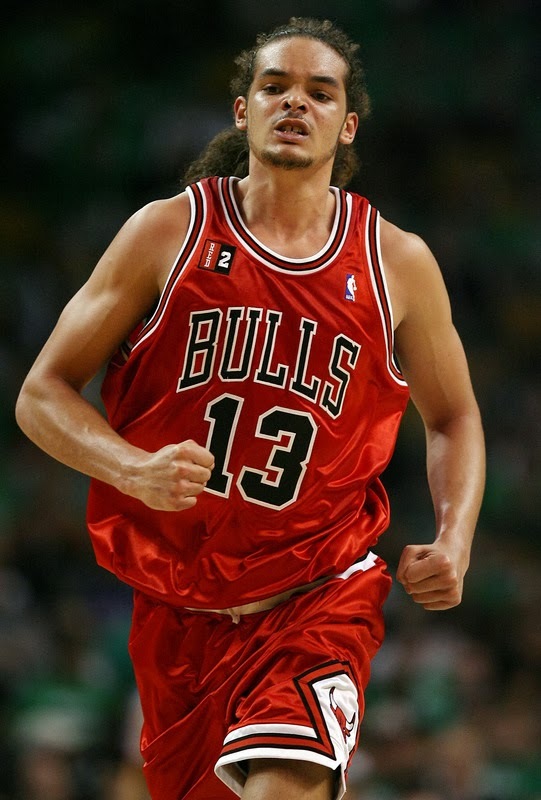 This all-star contributed on a Bulls team that went to the playoffs. Nate Robinson, Ben Gordon and Jamal Crawford are three guys that would have guaranteed spots in the top 10 if they were selected to play in the all-star game. They have been in all-star games arguments several seasons. Gordon, Robinson, and Crawford deserve to be highlighted as great Post-Jordan players. Hopefully these guys will make it to an all-star game. They have deserved at certain points in their careers. Nate Robinson helped the Derrick Rose-less Bulls get pass the first round of the playoffs in 2013. Ben Gordon was the main guy on several Chicago Bulls playoff teams. Jamal Crawford is just a nasty man. Someone give Crawford his props all ready. Ben Gordon - Playoff Career: 20.2ppg & .384 3-PT%, Bulls Career 18.5ppg and .414 3-PT&, 6th Man Of The Year (2004-2005). Jamal Crawford - 17.ppg, 5ast, and 1.4stl (2003-2004), .448 3-PT% (2001-2002) - Many were hopeful that he would a superstar. 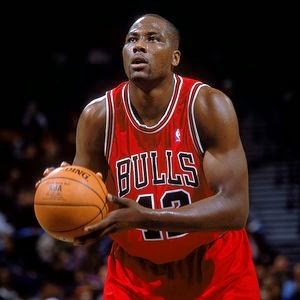 Crawford definitely had his moments as a Bull. One of the most exciting players to watch. As you can see, the Bulls have had a slew of all-star and noteworthy players in the Post-Jordan era. 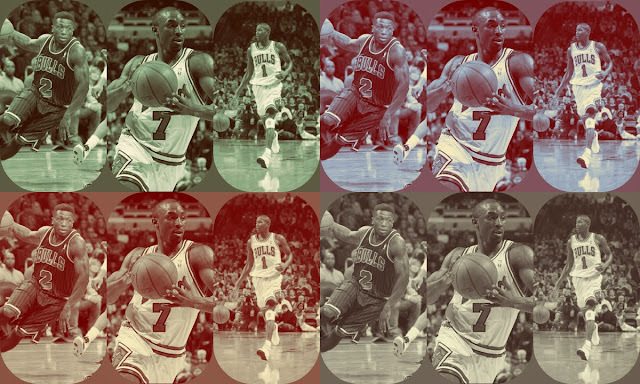 The Bulls still have not put together anything similar to the the 1990s Chicago Bulls. They signed some all-star level basketball after Michael Jordan so it hasn't been bad for Chicago basketball fans. At this current moment the Bull's are in a very uncomfortable place. 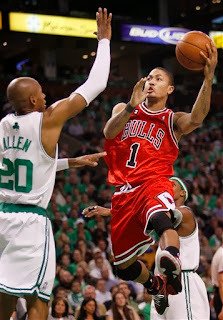 They are dealing with injuries, one of them belongs to their 25 year-old MVP Derrick Rose (Out for 2012-2013 season and now the 2013-2014 season according to reports.) Many Bulls fans are wondering which players on the 2013-2014 roster will be still be wearing a Bulls uniform in the 2014-2015 season. Chicago fans can only hope the franchise will do what they have to for the sake of keeping playoff basketball in Chicago for more years. Who are your Top Post-Jordan Chicago Bulls?